1000 Miglia srl is a company owned by Automobile CIub of Brescia, created in 2012 with the aim of organizing the re-enactment of the 1000 Miglia and enhancing the Freccia Rossa, the historic brand that distinguishes the legendary race all over the world. A young and dynamic company, it is made up of professionals with specific experiences and skills who work daily in the pursuit of excellence. 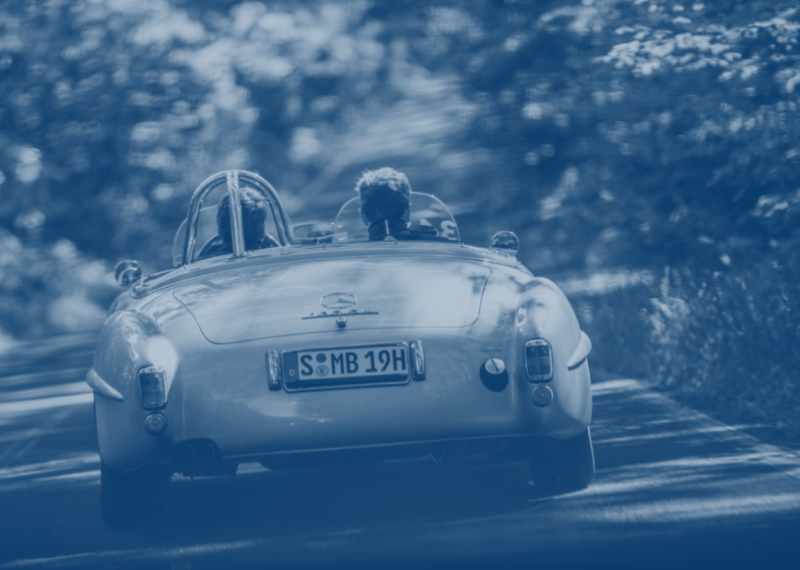 Today the 1000 Miglia is expanding rapidly and is experiencing a development that marks the crucial transition from a local event to a global brand, endowed with a bold and contemporary identity. Thanks to its know-how, the company is in fact engaged in organizing international events in parallel with the Italian race par excellence and aims to become ambassadors of Made in Italy in the World. 1000 Miglia is a luxury brand, symbol of the Italian race of vintage cars par excellence, which makes the world dream. Italy and its artistic, social and even passionate value: a container of cultural meanings able to attract dreams and desires. 1000 Miglia draws on this lifestyle, with a brand that brings with it the inclination towards travel, elegance and good living. A bold brand, with a solid history, projected to the future. The almost century old history, combined with a bold and pioneering spirit, has given legend status to the name of 1000 Miglia. A myth that, while remaining faithful to its DNA, continues to renew itself and to innovate.